(Reuters) - Shares of United Continental Holdings (UAL) rose as much as 12 percent on Thursday as the airline sector was buoyed by strong December traffic reports that some analysts said boded well for upcoming earnings. United's stock touched its highest level since late 2007 a day after reporting that unit revenue, an important measure called passenger revenue per available seat mile, rose as much as 12.5 percent last month from a year earlier as the later Thanksgiving in 2013 shifted some holiday traffic into December. Other carriers had a strong December. Newly merged American Airlines Group (AAL.O) on Thursday said unit revenue rose about 9 percent at American Airlines and 12 percent at US Airways last month. Southwest Airlines this week said unit revenue rose between 14 percent and 15 percent from the same month in 2012. Delta Air Lines Inc (DAL) reported a 10 percent rise in unit revenue last week. December revenue results "suggest a bullish setup into (fourth quarter) EPS," Morgan Stanley airline analyst John Godyn said in a note to clients on Wednesday. "The industry is back to stability," said Michael Boyd, president of Colorado-based airline consulting firm Boyd Group International. He said he expected profits from the industry in 2014. "There are only four network carriers now, and all of them understand that the need is to circle your wagons and protect your turf and that's what they are doing," Boyd said. "By and large, they are not trying to kill each other, which brings stability." 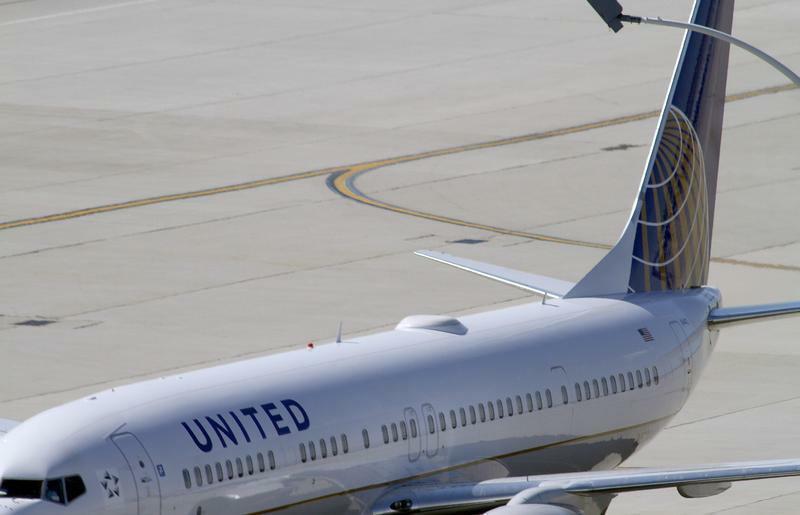 Some analysts said United's strong December performance could translate into a possible announcement about returning capital to shareholders. Delta re-started a dividend and launched a share buyback last year.